San Francisco is my favorite dirty city in America. I am amazed like Paris, London and New York their streets can be so dirty and they get away. Nobody is saying I am relocating to clean Tokyo because New York is so dirty. In Singapore our clean, tree lined streets are a major attraction to be here. It didn't matter much to me if SF streets is clean or dirty. 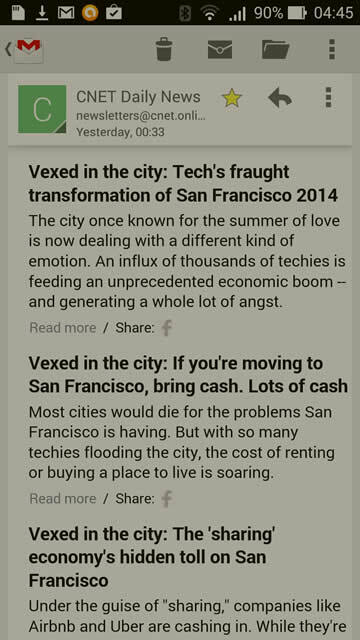 In a perverse way I am kinda of glad SF natives are up in arms over rising real estate prices and cost of living in general. In a relative world this gives Singapore space. We can be spoiled and unreasonable but as long as lots of citizens in other cities are worse, we are alright. Investors and talent have to choose an available destination and not one they fancy in their imagination. We must calibrate and pace ourselves less we get over extended and become our own greatest competitor and enemy. At that time our enemies would be most delighted to see us hang ourselves for nothing. In this sense I do not buy the paranoid of the Old Guard. That's no way to live.